Carl and Michelle feel blessed being Emerald Isle NC wedding photographers. They enjoy photographing weddings and engagement photos in the Crystal Coast region. Their favorite Emerald Isle wedding venue is the Watson House. They’ve photographed a number of weddings,engagements,bridals and styled shoots at this venue.You can see their engagement or wedding photography on their blog. 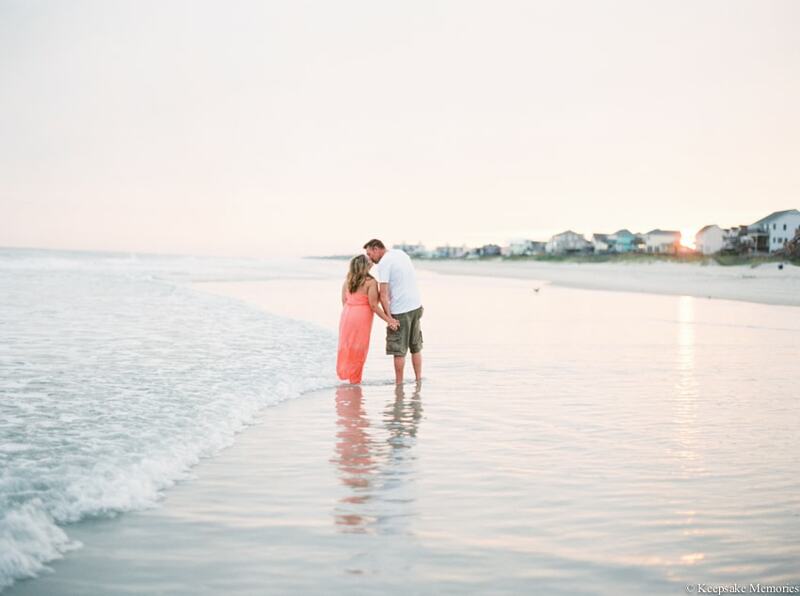 This happens to be one of our favorite beaches in North Carolina for weddings. This town is special for us since Carl was stationed here during his time in the Coast Guard. We fell in love with this small town and it’s been great shooting weddings in Emerald Isle. One thing about Emerald Isle we love most is the gorgeous sunsets. Your bound to see a colorful sky right after the sun has set. It’s a must see when visiting the island. Emerald Isle is located right on the Bogue Banks in Carteret County. It’s a top beach destination in the Crystal Coast region. Many out of state travelers flock here during the Spring and summer months. There is a ton of beach houses and condos that are available to rent. When you come to Emerald Isle you plan a trip to kick your shoes off and enjoy the beautiful sea salt water and sand between your toes. We love Emerald Isle Wedding Photography. We’d love to be considered for your Emerald Isle wedding. You can fill out the contact form on our site, if you’d like more info on our availability and pricing.